The brief for #26Winters span into my inbox one topsy-turvy morning: the baby had given up sleeping… I was grasping at muted mindful ways of entertaining her sister. “Marbles…MARBLES! Why have I got marbles, when I’m losing mine,” my internal dialogue muttered. A trip to the museum was needed, the older child was set the challenge of finding the objects…the baby resolute and wakeful in her buggy waved at the antique dolls I’d hoped would feature in my brief. 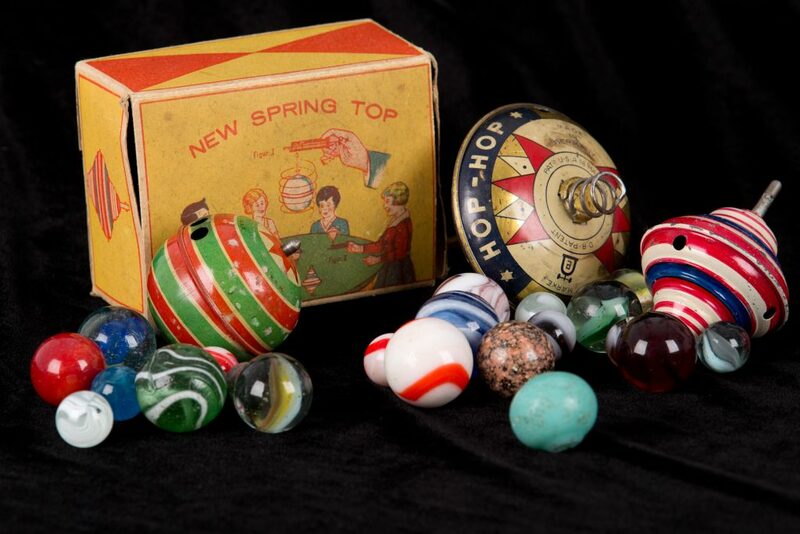 amidst roller skates, diabolos and other static objects designed to move, sat the ‘new spring top’, the missing marbles! “I had a wooden Top when I was six,” I told my daughters. My own Dad was a toymaker. My Mum, a storyteller, spent hours playing with me. The story I sought fluttered into my head. My marbles? Who knows…the baby’s probably swallowed them!